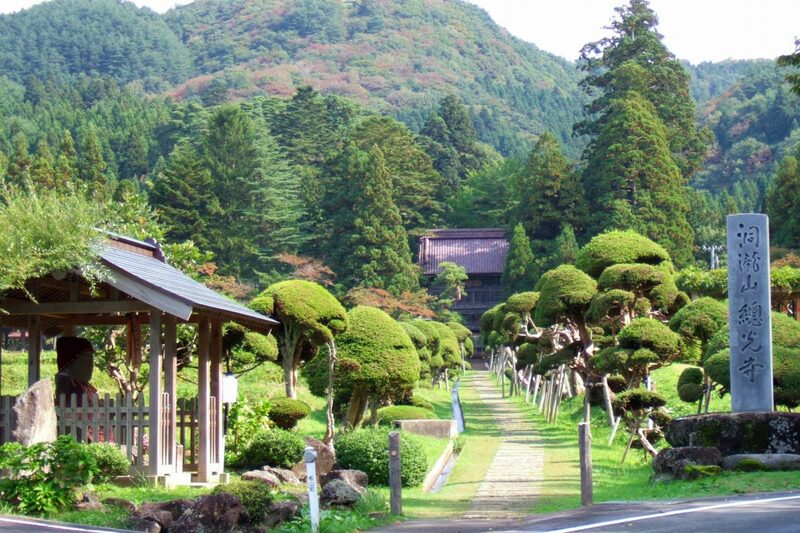 Soko-ji is a Zen temple established in 1384. 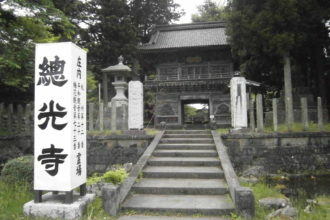 The temple gate was completed in 1811. The garden, called Horaien, is a national-designated site of scenic beauty. Visitors can enjoy green tea and sweets in this very tranquil, beautiful garden that is characteristically Japanese. 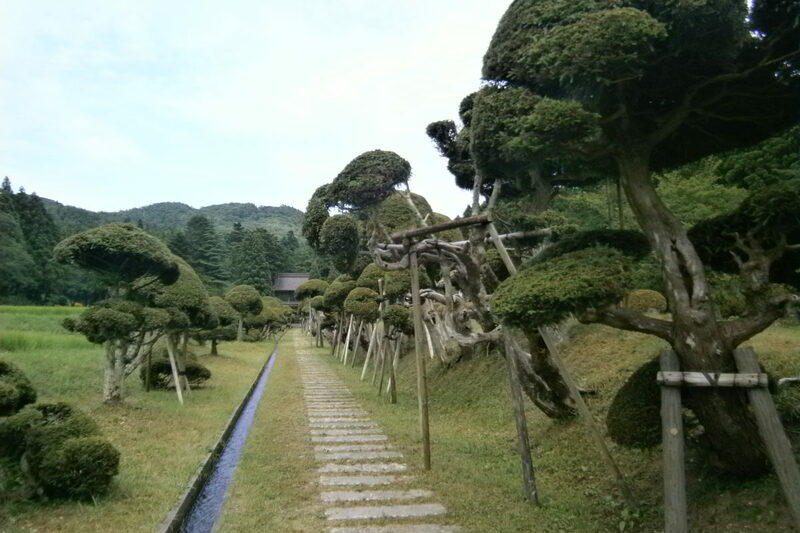 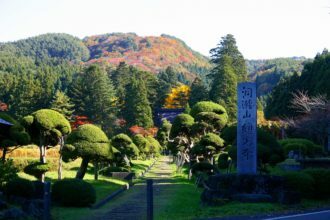 In addition, the approximately 120 mushroom cedar trees planted along the temple approach were designated a natural monument by the prefectural government in 1956. They are said to have been planted around 400 years ago and have been clipped into a beautiful mushroom shape by each successive chief temple priest.